Sgt. Andrew C. Lodes, son of Mr. and Mrs. Peter G. Lodes, Vinita, husband of Mary Blair, attended White Oak High. 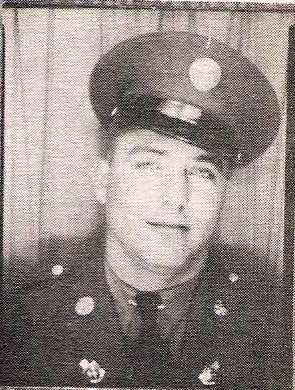 Entered Army, 1941, trained in Okla. and Tex. Served in ETO. Awarded GCM, Victory, ETO, 2 Baattle Stars and 2 overseas Bas. Discharged 1945.